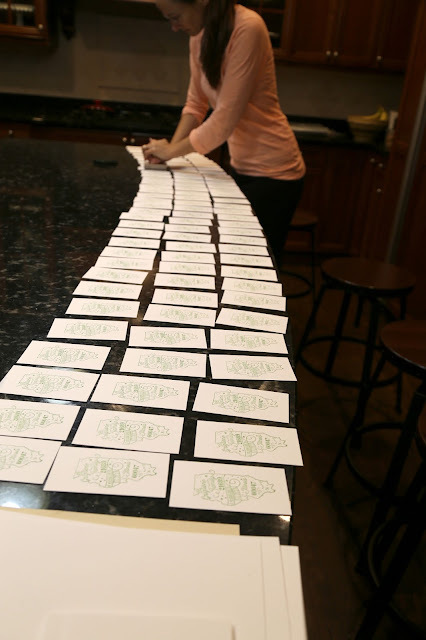 Winnie & Walter is giving away a FREE STAMP SET with any order of $35 or more on Wed 11/25 - Mon 11/30. It's a great set (naturally.) If you've been waiting to place an order, now's the time to do it! Shall we look at a few cards? This set is just right for making some of the happiest cards ever. 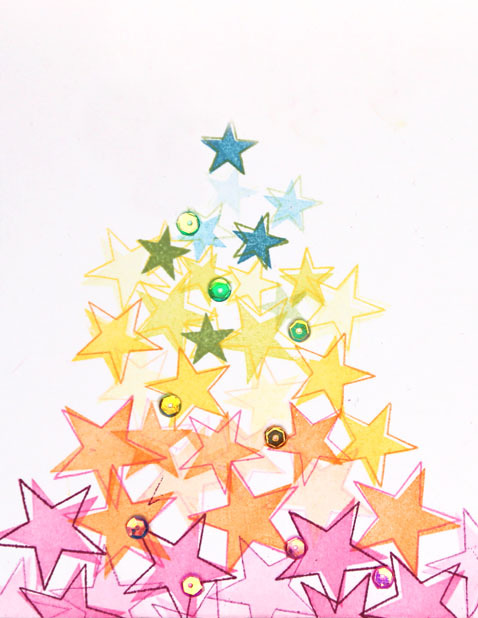 I started out with the large, solid stars in fuchsia and then worked my way down in size until I got to the small blue star. The star outlines are nice to give them a little more energy. 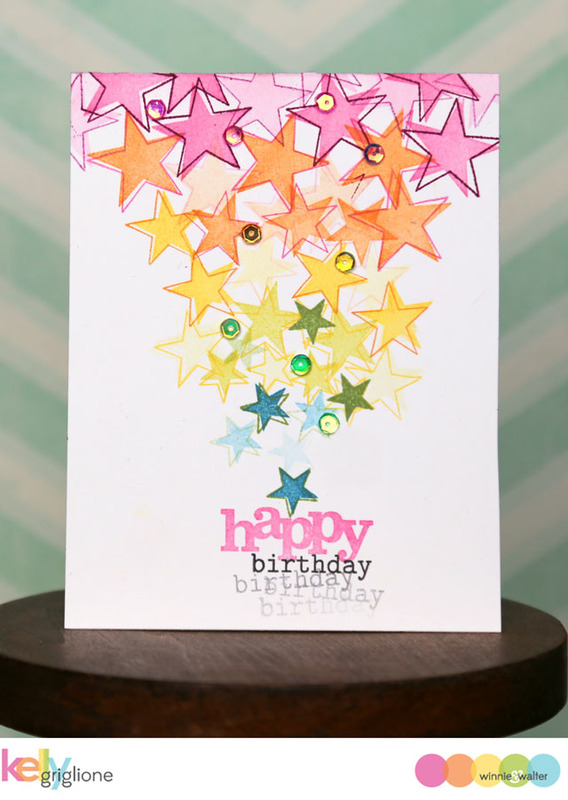 I stamped the outlines with the previous color in the rainbow. 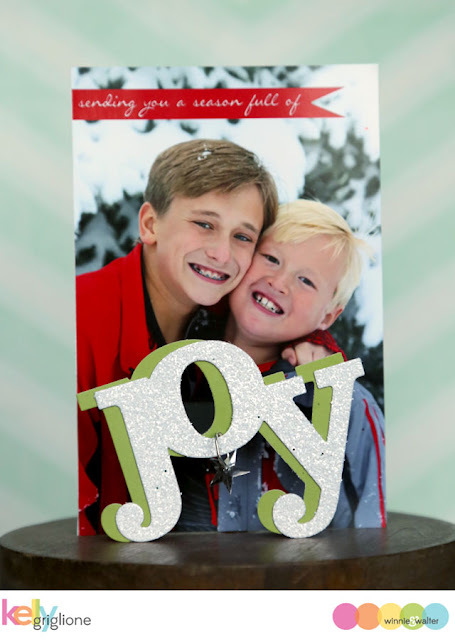 "Happy" is in a chunky font that goes well with all the typewritten words in the Big & Bold series. After I finished, I was thinking if you stamped this in reverse order, it would make quite a happy Christmas tree. Add a sentiment and you're all set! This set is also great to build backgrounds. A little ink smooshing, a few stars, a sentiment, and you're all set. 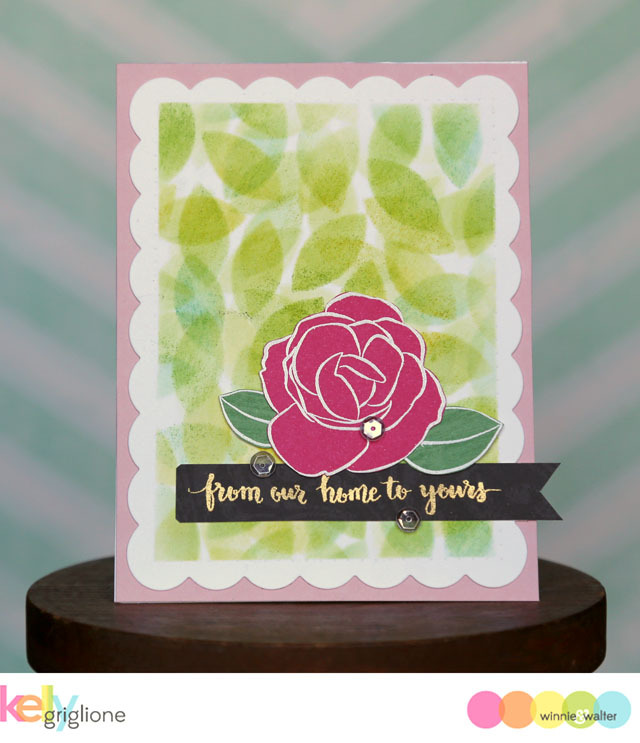 Stop by the Winnie & Walter blog to see more inspiration with this stamp set, and for additional details on how to add the set to your own collection! 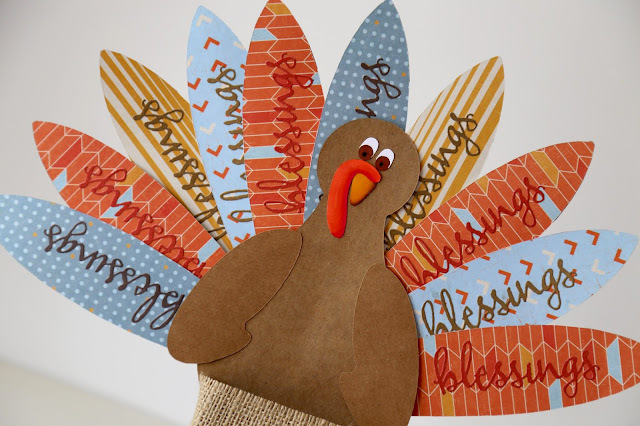 To all my American friends, have a wonderful Thanksgiving! To all my friends abroad, I hope you can enjoy some quality time with your family! Hi Folks! I'm on the CAS-ual Fridays blog today with a sympathy card that unfortunately I needed to send out this week. My cousin's husband passed away unexpectedly from a heart attack, and was only in his mid-50's. My heart goes out to them, especially since so many people were dependent on him. No one is ever ready to loose someone you love, but it's always so much more difficult when you loose someone so young. Hugs to your family tonight! Hi Folks! 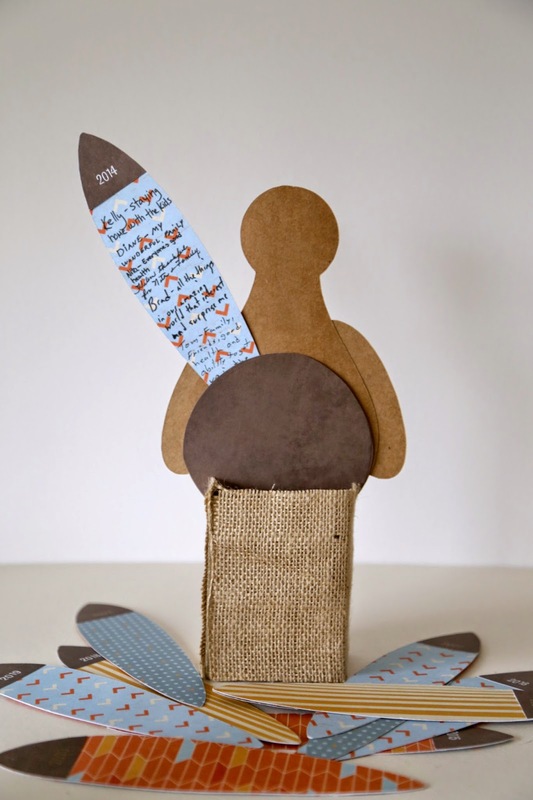 I'm excited to share a project on the Winnie & Walter blog today! Head on over to see how we've started recording what we're thankful for each year. 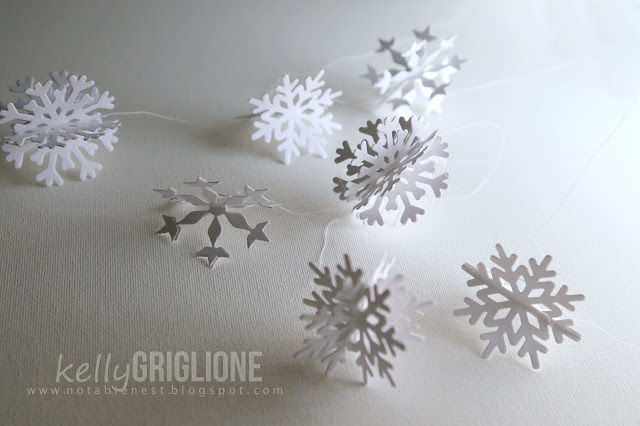 I really love this new tradition!! Hi Folks! It is my great pleasure to participate in the Calling All Sistahs Blog Hop. 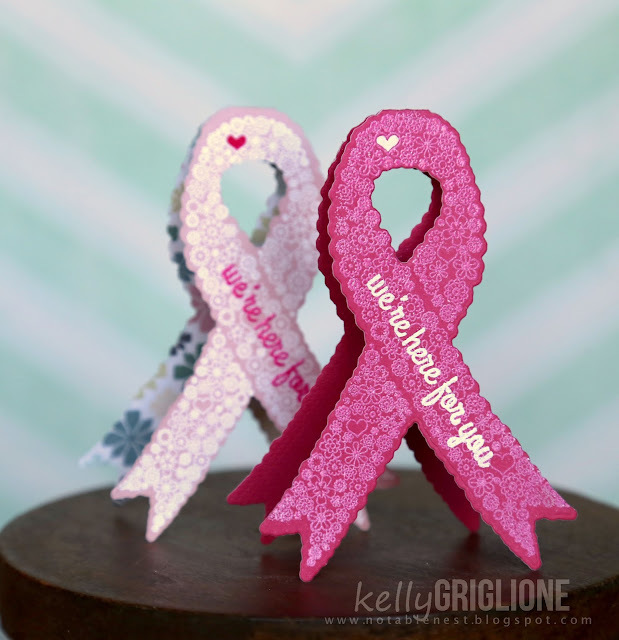 You may have heard that Michele (CAS-ual Fridays owner and designer) was recently diagnosed with breast cancer. If not, you can read her personal story here. Michele is not one to sit back and let things keep her down, so she is making it her personal goal to fight back in more than one way. We are kicking of a monthly reminder on the 17th of each month to do your self exams (now would be a great time!!) To start things off right, a new collection of stamps and Fri-dies is also being released, with its own pinkalicious packaging. 50% of the profits from this collection will be donated to breast cancer research and awareness programs in honor of all who have been, and will be, affected by breast cancer. This is one of the Fri-dies ... 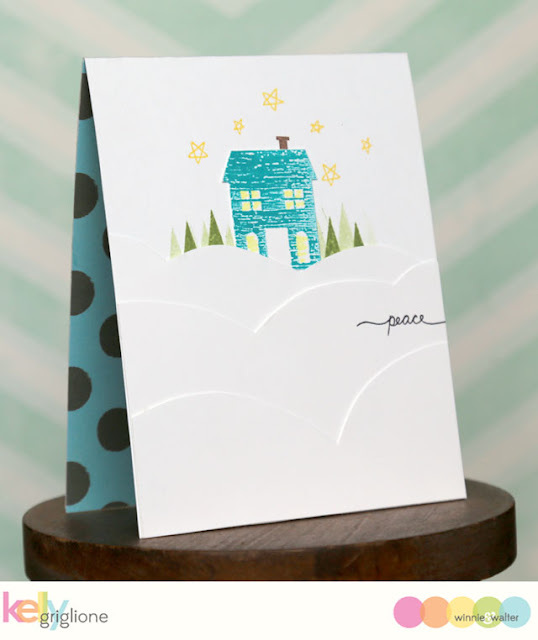 I love that it's large enough to make a cute little card out of it! Just make sure that the top of your die is slightly above the fold of your card. So easy. The detailed stamp gives such a nice texture to it. The sentiment is actually in two pieces, you can use an "I'm" or a "we're" to start it off. 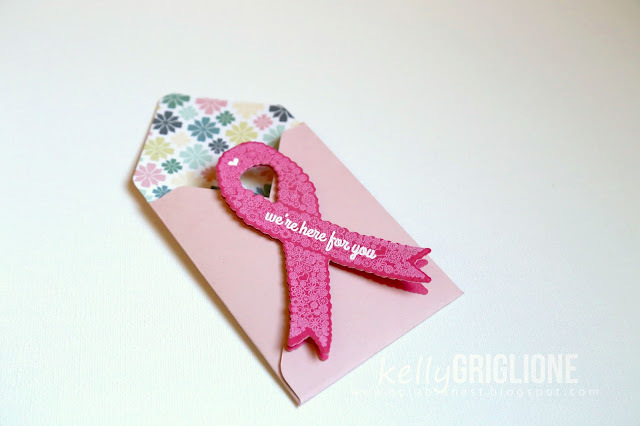 You can make a 3" x 4" envelope with the We-R-Memories Keepers envelope punch board to fit the ribbon of hope card. Spoiler alert for Michele, don't look unless you've already received this in the mail!! 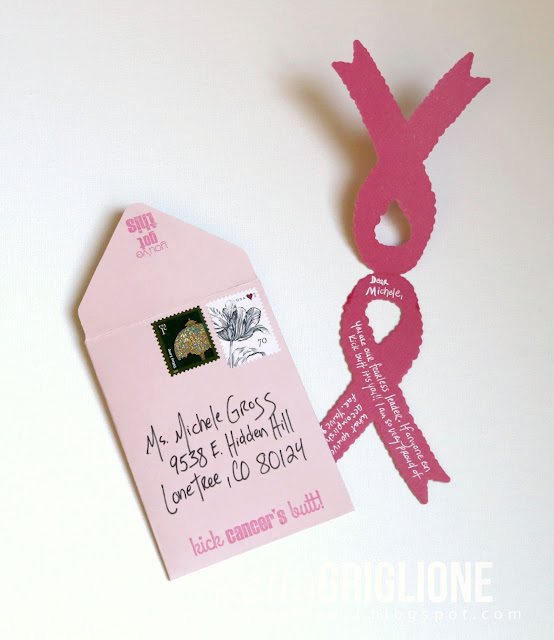 There are lots of little phrases included in the set, which are perfect for adding to your envelope. 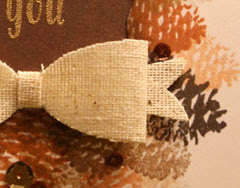 Also, you can get creative with writing your sentiment inside the card ... just follow the direction of the ribbon. Note: if you're going to mail an envelope that's smaller than 3 1/2" x 5" in the US, you'll have to add additional postage ($0.71) since it's non-machinable. I think it's worth it ... good things come in small packages! 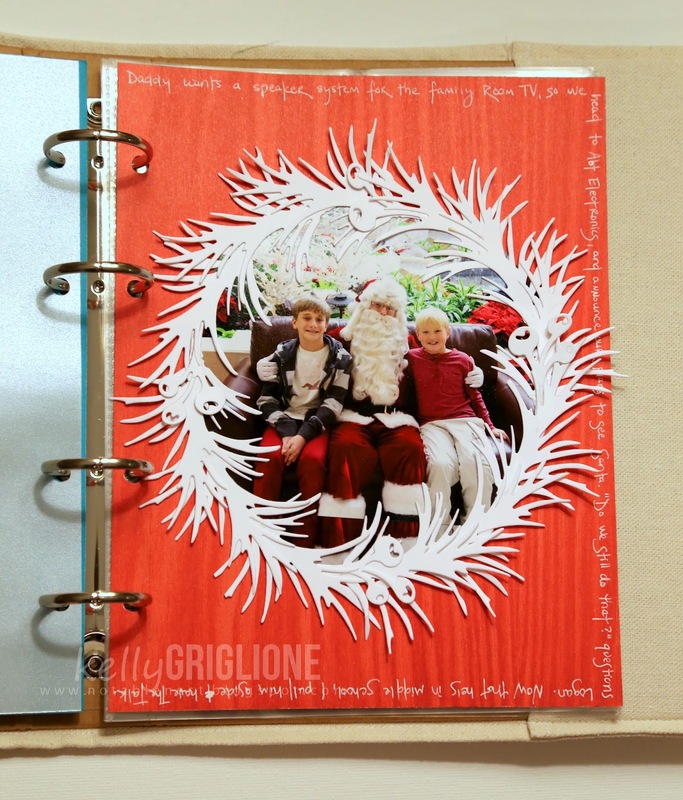 Off to your next stop at the lovely Catherine Pooler's blog. The full list of stops is at the CAS-ual Fridays Stamps blog. Thanks so much for stopping by, and don't forget to check yourself!!!! Hi Folks! I'm joining Winnie & Walter today as we explore an older set in the Rerun feature. This month it's Happy Christmas which has a TON of tiny elements and a TON of mixed font sentiments. Such a great value! For this one I used the same format as the Halloween cards I made for the Moonlight rerun, where I stamped the circular 31 image in multiple Halloween colors as the focal point. 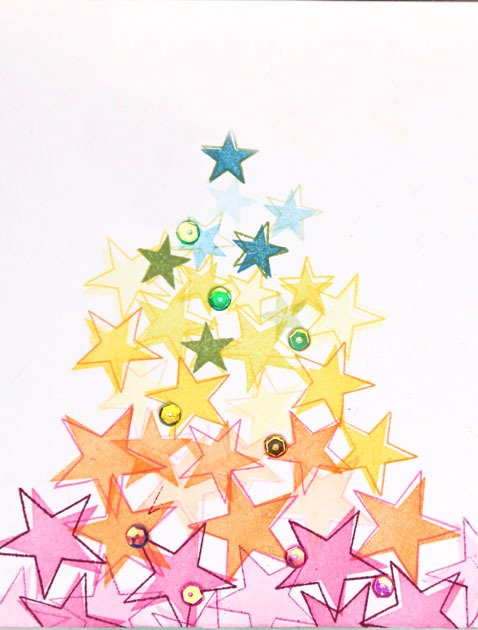 This time, it's Christmas, of course, and I turned the circles into dangling ornaments by drawing a cap on each one. I also loosely drew around each circle to give them more definition. The new In a Word: Merry Cutaway goes so well with the sentiment from this older stamp set. Everything from Winnie & Walter mixes together so nicely! I've been getting in the habit of making duplicates when I have my supplies out. Partly because it's more efficient, and partly because I'm hoping the second one turns out better : ) This is the second one with slight changes ... smooth outlines around the ornaments, layered cutaway, sponged ink on the bottom, and gold thread to hang the ornaments. Here's a closer look at the gold thread. I like it, but I still think the first card feels better. Hey, at least I have a second card in my stash! Very fun to play with this set again. Thanks so much for looking! Hi Folks! 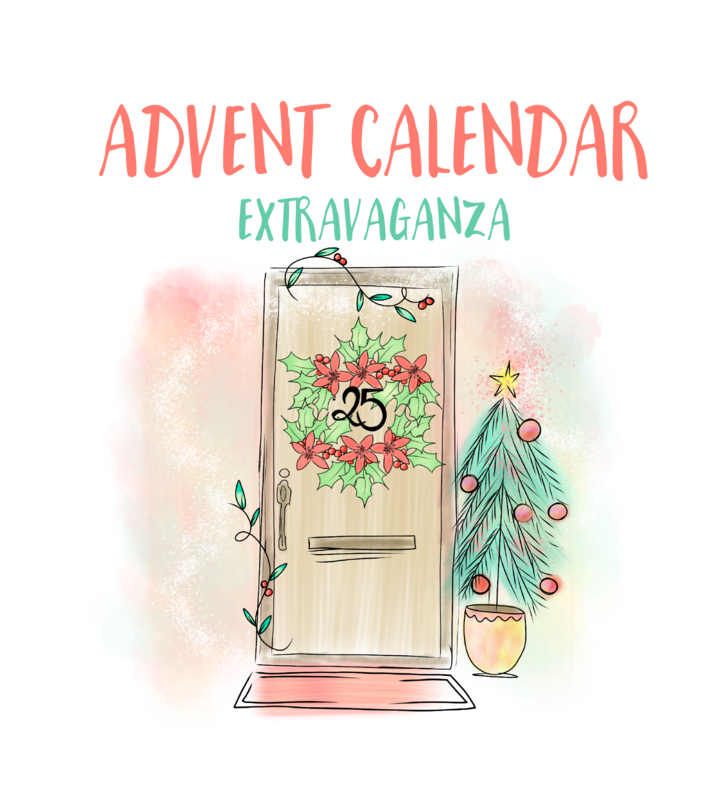 It is my great pleasure to join the 25 Days of Christmas Tags festivities hosted by none other than Tracey McNeely, who, as you all know, is just the sweetest blogger and friend ever! I'm joining this year with CAS-ual Fridays Stamps. 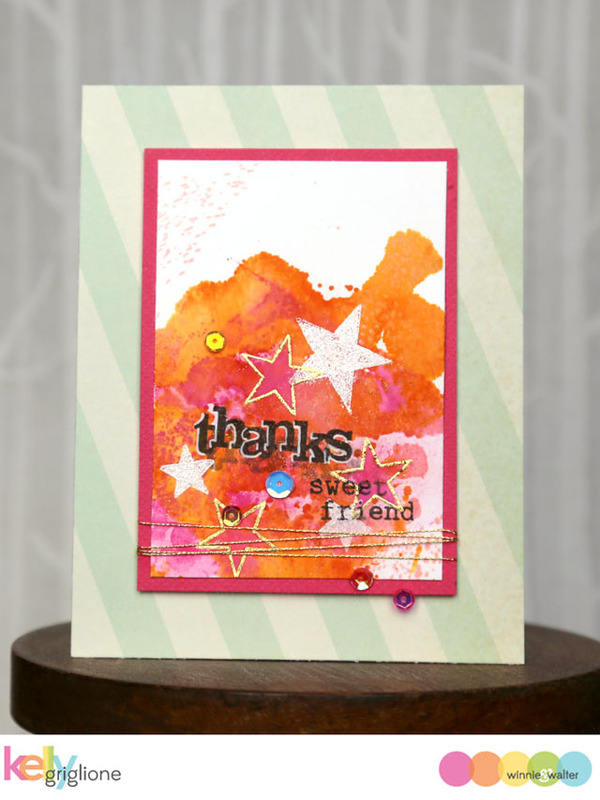 This tag uses my favorite Flurry Fri-Die layered onto a Funky Square Tag. I am such a fan of tiny sentiments ... this is one of the many different sentiments from Sleigh Bells. 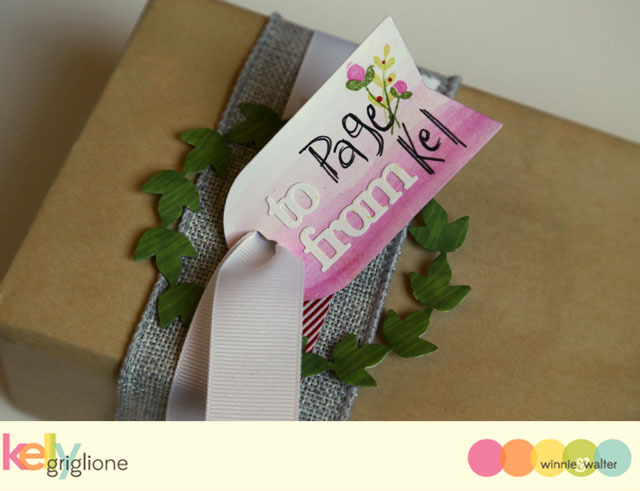 For the wrapping, kraft paper is my go-to when I have fancy tags and ribbons. I also like to layer the ribbons so you get all those textures together. Here we've got the woven canvas, velvet & metallic pink crossed over each other, and wired tinsel from Dollar Tree (at $1 for 50 feet, it's the best deal around!! I'm on my second helping already). For the tag, I wanted to give the feeling of fresh snow, so I chose a glittery paper for the tag base, and then bent the snowflakes up. Doesn't it look like they just fell there? OK, maybe it's just me, hahaha! Anyway, thanks so much for stopping by. 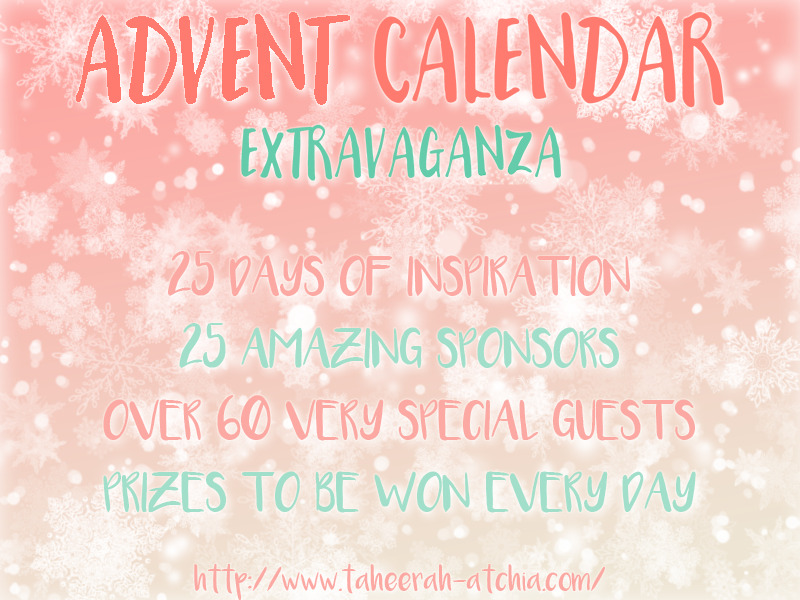 Be sure to check Tracey's blog throughout the month for more tag inspiration, and lots of prizes too! It's been so fun to watch this event grow bigger each year. Thanks for all your hard work putting this together, Tracey! Too Early for Winter Decorations?!? I'm at CAS-ual Fridays with this winter project so you too can completely confuse your family!! Hi folks! 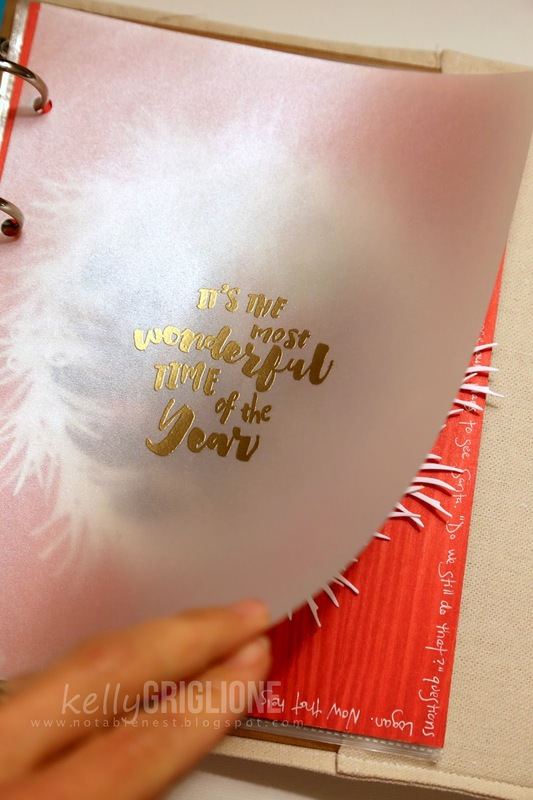 We're at the last day of the Winnie & Walter release, and I know you are going to fall in love with the calligraphy in the Evelin T Designs sets like I did. 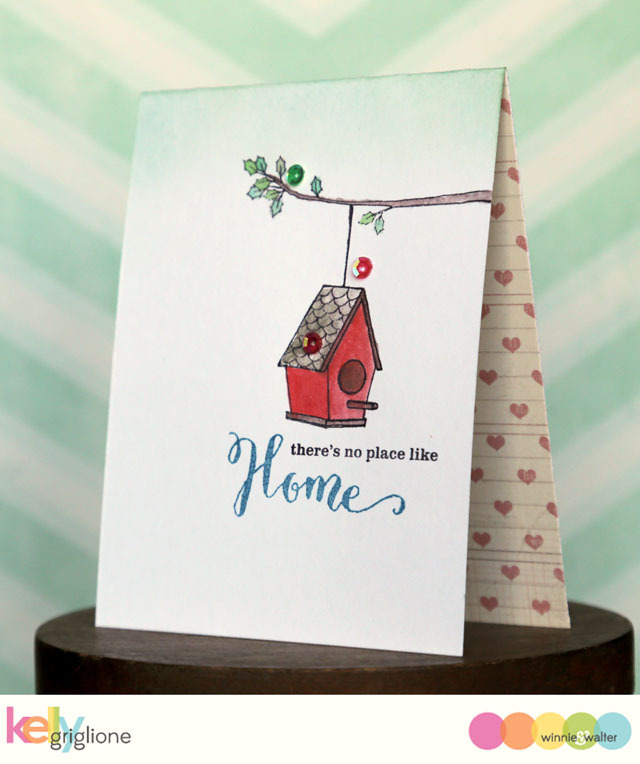 This first card features one of the sentiments, again with a nice mix of typography and calligraphy. The hanging birdhouse and twig is watercolored, with a few sequins added for good measure. 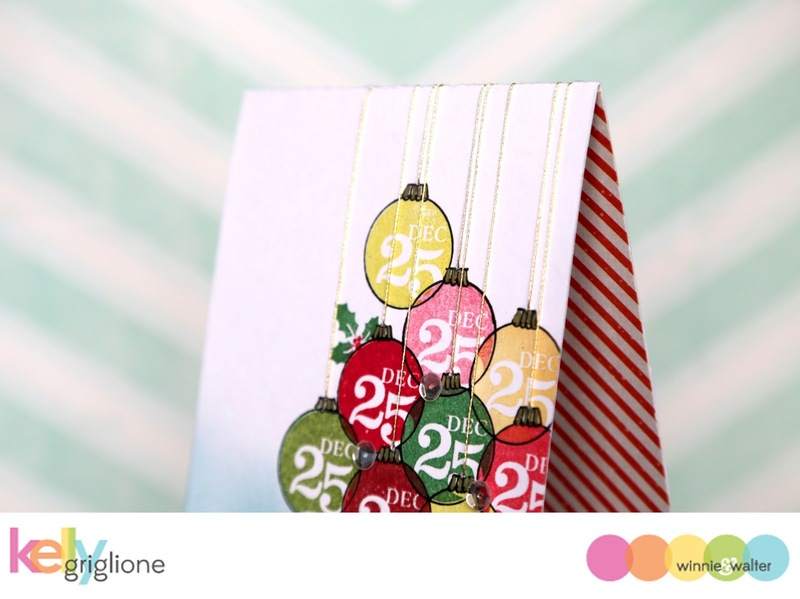 Here's a tag I cut with the Essentials: Noelle Cutaways. The to/from are also in this set. 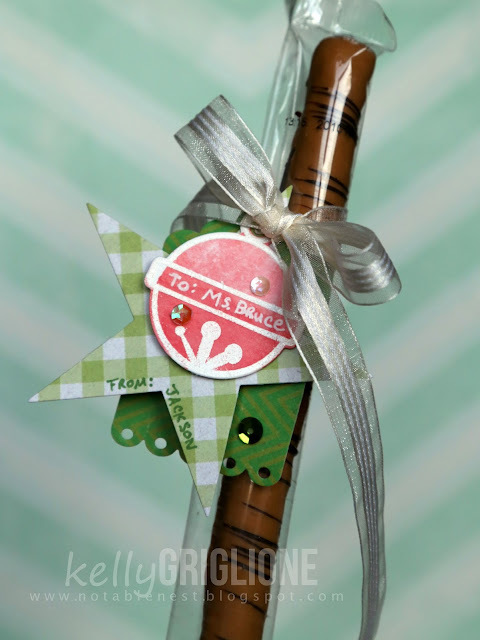 The florals on this tag are from yesterday's In Bloom: Hollie's Festive Florals. Love how the pieces of the flower, leaf, stem, berries etc. are all different stamps so you can easily work a bunch of colors in. Under the tag I layered In Bloom: Paulina's Greenery Cutaway. The package looked a little plain without it, so I was excited when this wreath added a little more color, width and interest. So easy to do. This last card uses Scenery: The Leaf Effect a couple different times for the sponged leaves, which have been masked off the sides. 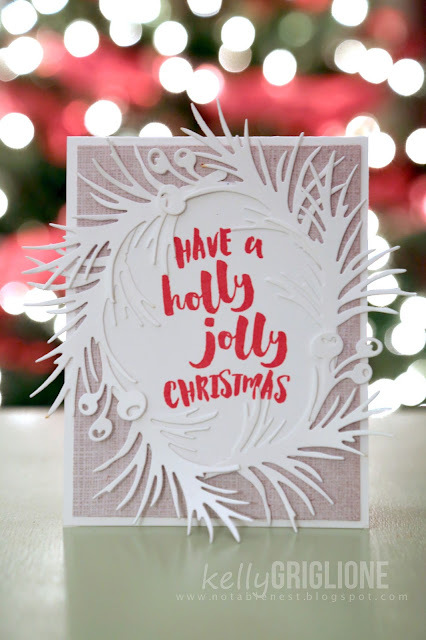 The scalloped panel that the leaves are on is another great die in the Essentials: Noelle Cutaway set. I went with a solid pink for the flower (from In Bloom: Anna's Flora) since there was so much going on in the background. 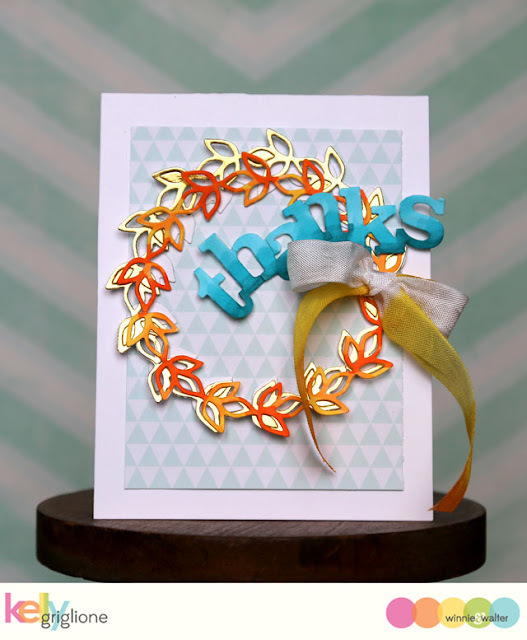 The gold sentiment is another one of Evelin T Designs ... both sets are Christmas themed, but as both cards in this post show, you can easily use them for non-holiday (even summer!) cards. Whew, you've made it all the way through the release! As sad as I am that it's over, the good news is that all the shopping can begin. Whoo-hoo!! Hi folks! 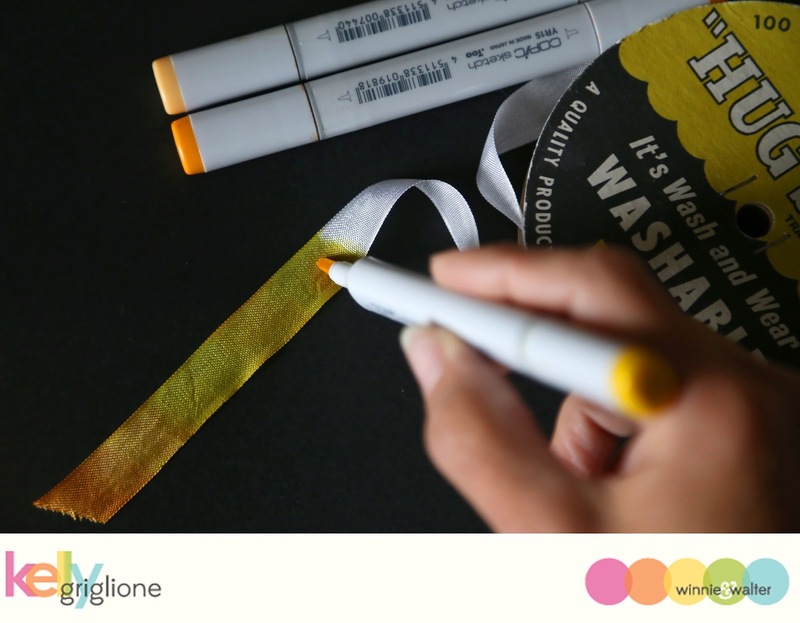 We're only half way through this massive Winnie & Walter release and there is still so much to show you! This next set is called Our Town and it's full of houses, fences, trees, lamp posts, etc. Anything you'd need to make a town of your own. For this card I stamped all three houses in different colors and masked as I worked my way up the card. The sentiment is another tiny one I'm in love with from Comfort + Joy. 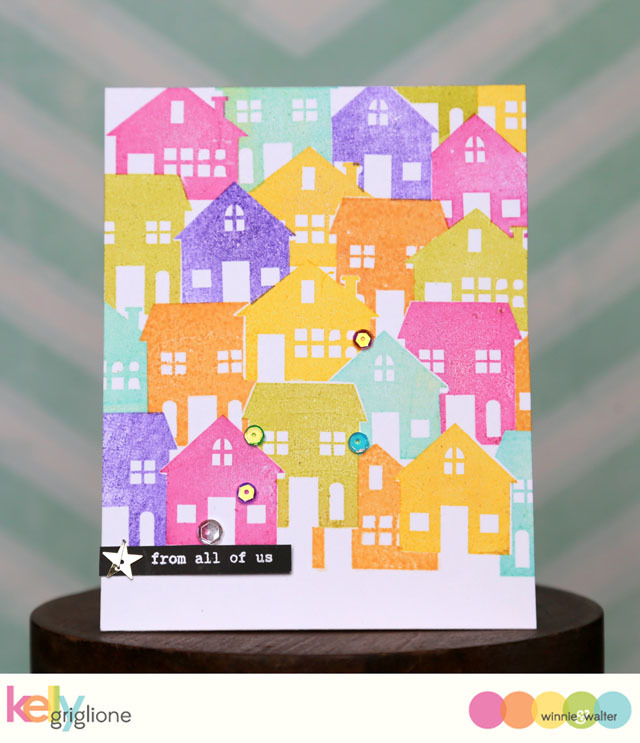 It goes so well with the huge neighborhood on the card ... kind of like the card is from everyone who lives in each of the houses. After I put the w&w watermark on the photo I realized that I created the Winnie & Walter town ... the colors are almost exactly the same as the w&w circles! Although I made a winter scene here, all the accessories that come in this Our Town set will let you create a scene for all seasons. What a great set of cards that would be! This last card features a wreath cut with the In Bloom: Paulina's Greenery Cutaway. Really love the open leaves on this wreath. They work well for letting layers show through, especially this gold foil layer on the bottom. The top layer is colored with a few different Copic markers to make a blended Fall wreath. 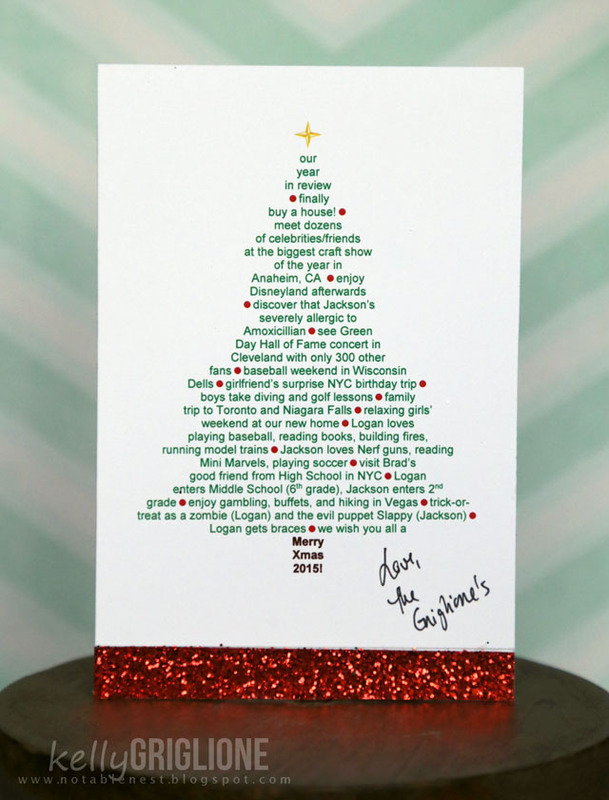 The In a Word Thanks sentiment is bent slightly in a curve to make it fit better on the card (it take up more of the space inside the wreath, as well as doesn't extend over the card edge as much. For the bow I used the same Copic markers that I used on the wreath to alter my seam binding tape. Perfectly matched! Be sure to stop by tomorrow for the last day of the w&w release!